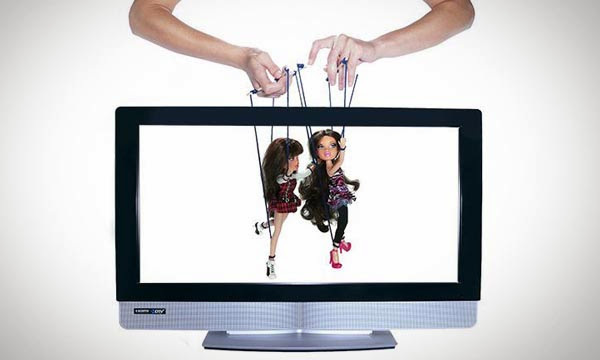 The TV scene has been taken over by show after show of a reality we all know was edited. Let’s see how much sense that makes. None. Reality TV has really taken over the networks as it gets almost just as many views as news broadcastings and informational networks. Even networks such as TLC (The Learning Channel) have switched over. The only thing we really learn from it now is how Honey Boo Boo gets her kicks everyday. The very first reality show aired in 1973. According to the Writer’s Guild of America, “An American Family,” a 12-episode documentary following the Loud family, was the break of something amazing for the TV world. Then came the more known “The Real World,” “Survivor” and “Big Brother.” These shows really went deep into the reality world, showing all the ins, outs and breaking points of everyday people. Yet, they are so unrealistic and almost unbelievable. At the beginning, the concept of “The Real World” was great, especially for college-aged viewers beginning to experience just that, the real world. Sadly as it grew with popularity and seasons continued, the reality factor became less and less prevalent. It is almost interesting how quickly TV show producers took advantage of their power to really alter reality. Honestly, we are all living life; we know the difference between real and fake. Now in this day in age, where does TV really stand? Why is it so addicting? Rather than just debate the point, Psychology Today conducted a survey of 239 people with the Reiss Profile, asking them about their television viewing habits and their values. It was concluded that the most common reasons were that they watch in order to talk with friends and coworkers about the show and that they are not as smart as other viewers. That’s almost funny. Americans watch shows that promote brain inactivity because they don’t think their brain is active enough. This is the point where all college students can rejoice for consistently juicing their brains. The fine line of integrity and entertainment is always the breaking point for reality TV. It is quite obvious that this category of television isn’t going anywhere … at least not anytime soon. Just be sure not to be bamboozled by the fancy scripts and dim lights. Keep your eyes open for the bit of extraordinary in the everyday life. I must thank you for the efforts you've put in penning this website. I'm hoping to see the same high-grade blog posts from you later on as well. In fact, your creative writing abilities has inspired me to get my own site now ;) Browse my site @ Write my Essays, you can get some writing ideas here.